Well, it’s my second time booking appointment through Zocdoc with this doctor and every time the office confirms with me, they say that I’ll be seen by another doctor. Other doctors are all right too but it’s just kinda weird. Dr. Zeltser was friendly and professional. He answered all of my questions and explained everything very well. He was kind and went over my treatment options. Dr Ross was nice. Quick coming into the room which was nice. The exam was a little to quick for me though. I prefer a slower paced experience. All in all in was pleasurable. I must say my favorite experience wasthe girls that greeted me when walking in. They were kind, funny and just delightful. Keep up the gracious greetings, first impressions are super important! I'm so happy I found Dr. Zeltser. I went in to have a suspicious freckle between my toes biopsied. The thought of having a needle between my toes had me anxious for days, but Dr. Zelter numbed my toe in acompletely painless way, if you can believe that! He was kind, professional, and very talented with the needle! I only had a very brief moment with him. I would see him again. Great 1st visit with Dr. Seltzer! 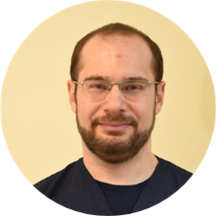 Dr. Ross Zeltser, MD has no appointments on Zocdoc right now.